CONTEST RULES: ¨Poem must be an original work (any topic). ¨Maximum length of poem: one page. ¨One entry per poet. ¨Poem may be hand written (legibly!) or typed. ¨Write your name, your age, and phone number on your poem submittal. ¨Let us know if the library can display the poem with your name and age. ¨Two prizes awarded: ¨Prize #1 for a poem written in a traditional form (such as sonnet, villanelle, haiku, etc.) ¨Prize #2 will be awarded to a non-traditional poem. ¨All remaining poems will be placed in a random drawing for a third prize. Submit your poems in April at the Children’s reference desk. Last day for entry is Friday, April 28, 2017 at 5:45pm. Prize winners contacted on Friday, May 5. 2017. Are you a teen between 13 and 19? 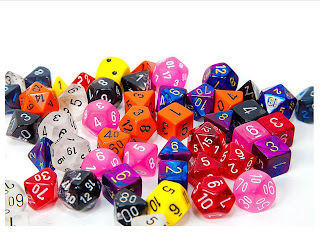 Interested in learning how to play Dungeons and Dragons (or, if you speak geek, D & D) or other tabletop games like Settler of Catan or Betrayal at House on the Hill? Or are you a tabletop gamer looking for some friends to game with? We invite teen players of all levels to join our group of teen tabletop games. We’re gaming in the Blue Room on Thursday, May 18th at 4:00pm. Join our fledgling group of D & D players, as we craft our characters and begin gameplay. (D & D is an RPG game originally published in 1974, and has been recently repopularized by the eerie Netflix series Stranger Things. Or start a quick game of Apples to Apples, Exploding Kittens, or One Night Werewolf. Or learn a new game. Or watch and learn. Snacks will be served—we never game on an empty stomach! This is event is free and generously sponsored by the Friends of the Tulare County Library.Registration is not required—just show up! SUMMER INTERNS WANTED Get valuable job experience at the library! The Tulare County Friends of the Library are offering a Scholarship to three teen summer interns who will assist with our Summer Reading Program! Teens ages 14-19 are welcome to apply. 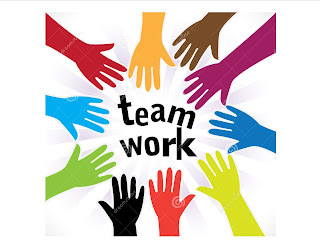 Interns must be available Tuesday, June 13th though Saturday, July 22 Interns receive a Friends of the Library scholarship of $300 Applications are available at the Children’s and Adult Reference desks and on the Teen Bulletin Board. Return your application to the Children’s Reference desk by May 6th, 2017. The top candidates will be interviewed beginning May 19th. Without our teen volunteers, we could not offer such a successful Summer Reading Program each year. Our Teen Summer Reading Interns will take on the responsibility of training, coaching, and scheduling our wonderful volunteers during our busiest time of the year. I’ve always been a bit of an outcast. I don’t say that for your pity--it’s just the truth. I can be somewhat socially awkward, and I have a tendency to play by the beat of my own drum. Because of that, although I had plenty of friends, I never really had a cemented “group” in school. It was frustrating and lonely when I was younger, but these days, I don’t mind it so much. I have my family, I have my friends, and I have my art. I’m at peace with who I am, and libraries are a big part of how I've achieved that. National Library Week is coming up next week! 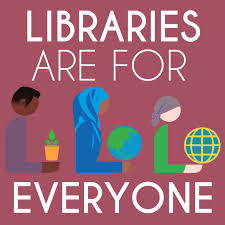 We're celebrating libraries and what they offer to all people, regardless of age, class, gender, national origin, race, religion, or sexual orientation. I invite teens to write a blog post (around 100-150 words) about what libraries mean to you. You can use English, Spanish, emoji, code or any combination of your choosing. Posts, whether anonymous or credited, will be placed on the Library Teen Webpage and entered in a drawing to win a $10 Starbucks gift card! To be eligible for the drawing, please submit posts by April 15th to Youth Librarian Carrie Wilson, Carrie.Wilson@Tularecountylibrary.org.